It has been a couple of weeks since I have posted a card. I recently received some new stamps (yes, again) from Stamping Bella. I love these stamps!!!! 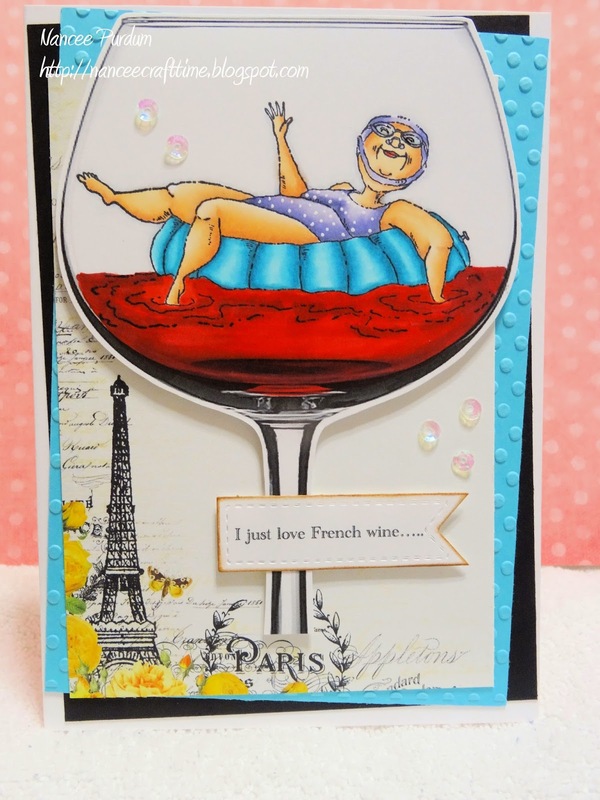 There is a challenge on their blog that when I saw it, an image just popped in my head and I knew I had to make that card. 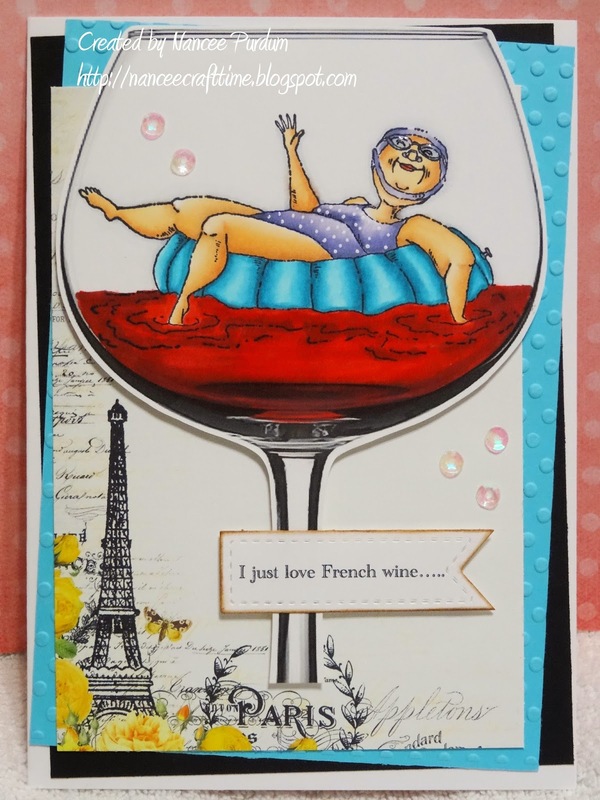 The challenge is to make a card using one of their stamps and then either a monotone card, or use a wine glass, or Paris, or any of these things…….so…..here is the image that popped into my head. LOL! A close up of Seniorita Harriet….. 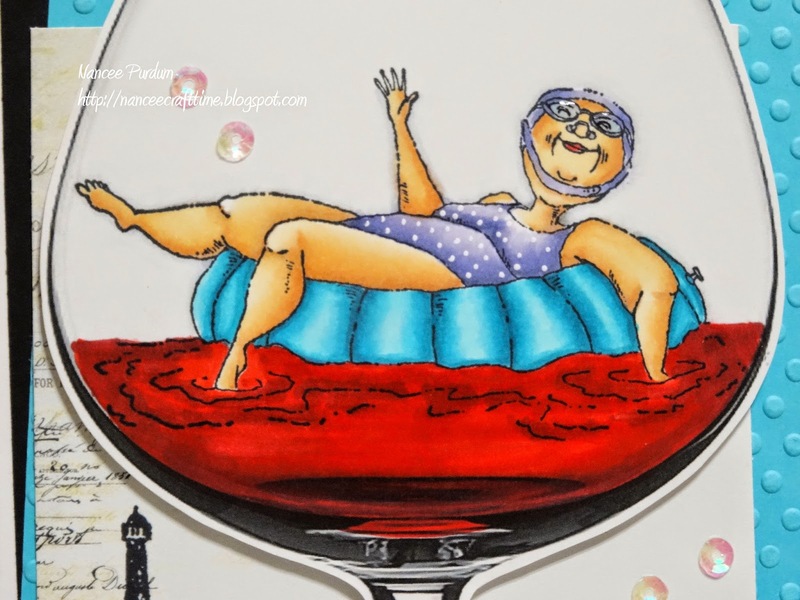 I used Seniorita Harriet and stamped her into a clip art image that I resized. I colored her in (and the wine) with my Copics. Don’t you just love her??? I had some paper from the last Simon Says Stamp card kit that went perfectly with the challenge. I added a label from PrettyPink Posh, Stitched Labels 1 with a sentiment that I created in Word. I added a little Vintage Photo Distress Ink to the die cut and some Darice Iridescent Sequins from Simon Says Stamp. 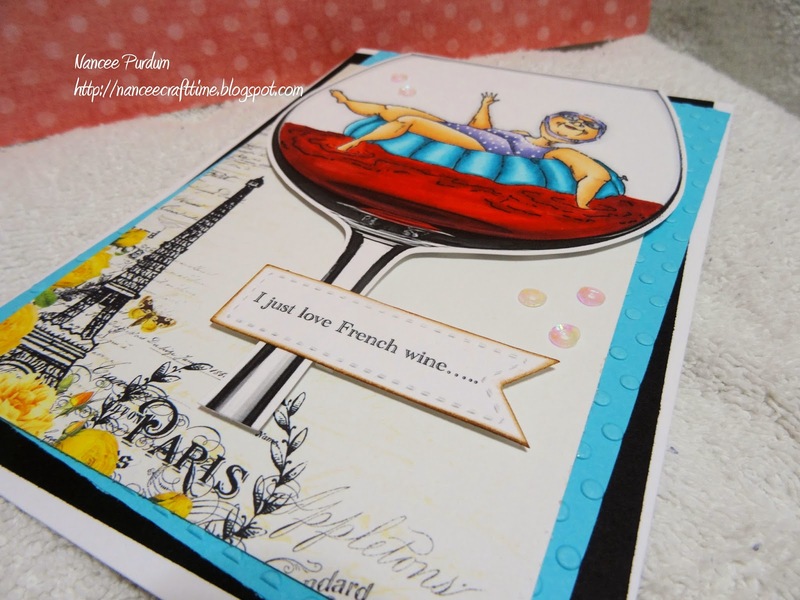 I embossed some blue paper with an embossing folder, cut out the wine glass, added some glue and I was done! Hope you enjoy her! Thanks for stopping by! ← Uptown Girl. . .